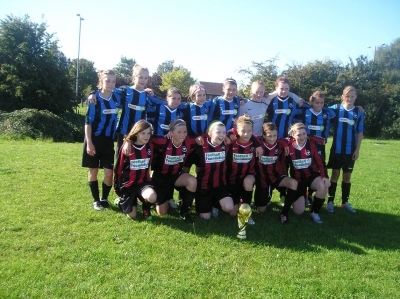 The first success of the 2010/11 season was winning Catholic United girls under 14 Tournament. In this case while some girls were playing one year above their own age while others playing were two years above their own age. The girls pictured are most likely to be this seasons squad. The Club have a strong emphasis on girls football and we run U10, U/11,and U13 teams, competing in the Essex County Girls Football League. Training takes place at Belfairs Park North on Saturdays from 9am and new players are always welcome to come and join in. Leigh Ramblers Y.F.C. and Leigh Junior School have been celebrating the next step in their FA School-Club Link recently after opening-up their school training sessions in a club environment at Belfairs Sports Ground thanks to assistance from the Essex County F.A. and local coach, Howard Mackler. Ramblers have been working closely with Leigh Junior during numerous sessions operated after school on Friday afternoons by Mackler which have proved increasingly popular. 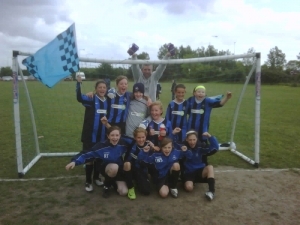 Now the relationship between the two groups has blossomed to the extent a potential new Under 10s girls team could be put together to compete in a league environment within the much-celebrated FA Charter Standard club. The initiative is aimed at girls in school Years Three and Four who are looking to take-up the sport, make new friends and stay in shape. 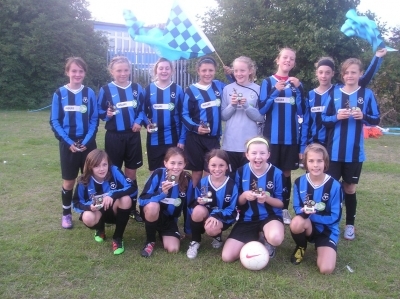 It’s the latest in a succession of links which have also taken place in Frinton and Walton, Intersports, Little Oakley, Newbury Forest, Snaresbrook and Island Girls and Jays Youth F.C. On this occasion, schools in Leigh-on-Sea received promotional materials and have had the opportunity to sign-up to taster sessions amidst a school-based setting. 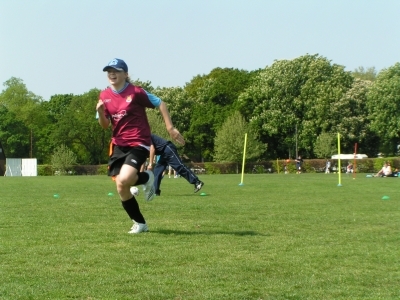 The club opens-up their sessions this Saturday 27th June, which take place at Belfairs Park, Eastwood Road North, Leigh-on-Sea, Essex, SS9 4LR from 10:00 to 11:30am. Queries should be directed to either Howard Mackler on (07966) 488308 or Emma Burden at the E.C.F.A. on (01245) 393076 or via E-Mail at emma.burden@essexfa.com.